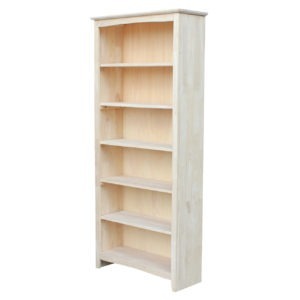 Parawood Shaker Bookcase by John Thomas Furniture. 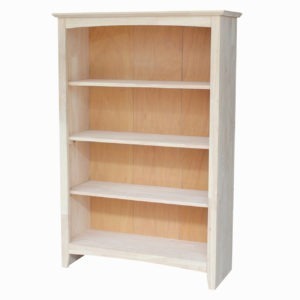 Solid wood sides shelves and faces. 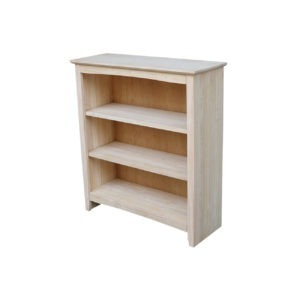 This Shaker inspired line is available unfinished and select finishes. 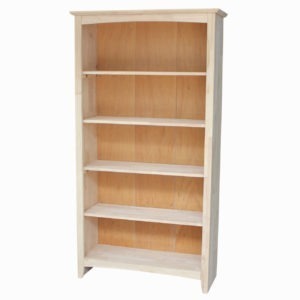 Flat packed and ready to assemble, it is a great value in solid wood.